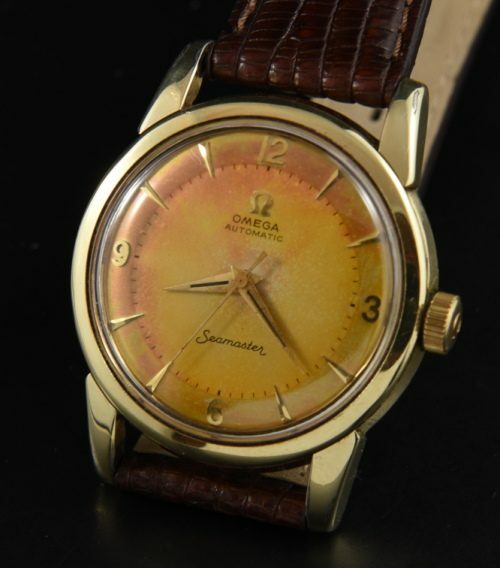 This is a 1959 OMEGA SEAMASTER housed in a 34mm. 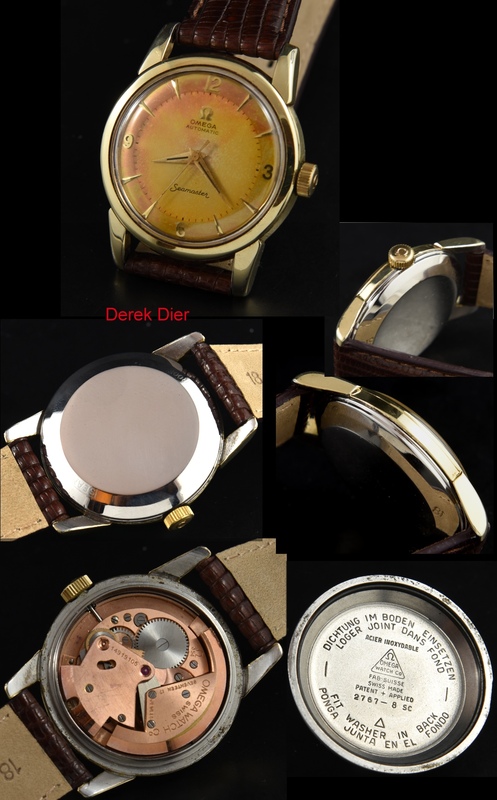 gold filled beefy lug case with stainless steel back and OMEGA winding crown. The original suntanned dial with Dauphine hands, arrow markers and original Dauphine hand is awesomes. This dial has AMAZINGLY aged! The fine caliber 354 automatic winding movement was just cleaned and is accurate. What a stunning OMEGA! $1195.